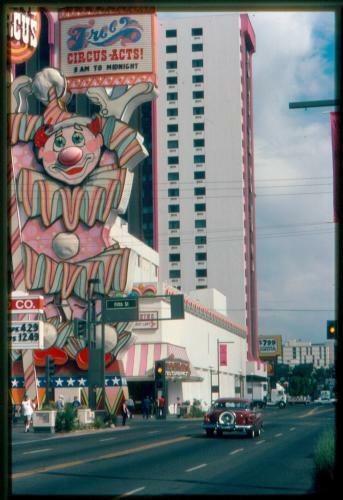 Circus Circus in downtown Reno, back in the days when the hotel was bathed in pink paint. Also notice the background, where the large parking garage at Sixth and Virginia had not yet been built. 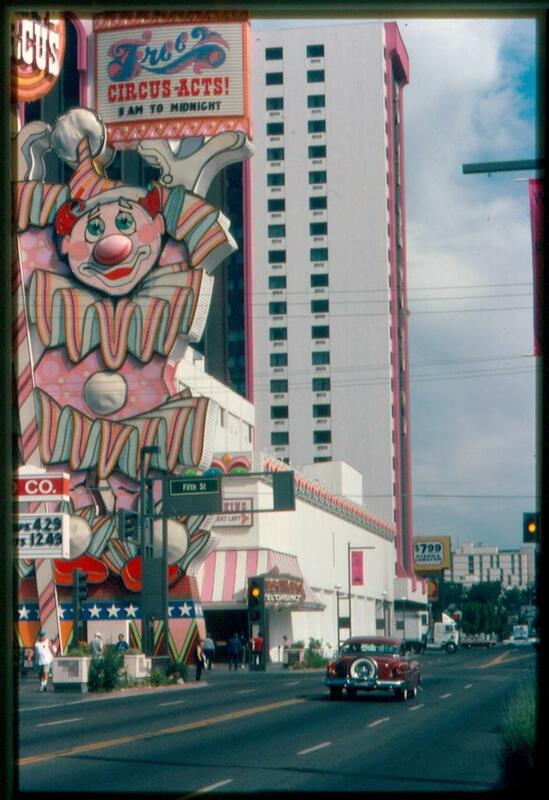 On the left you can see the sign for JJ's Food Company, on the site where the Silver Legacy now sits. Source Caption: Isern Comas, Jose P.,, photographer. North Virginia Av & Fifth St. Reno, Nevada - August 1, 1993. 1 slide: color.